Applicants must be from a rural/regional area of Australia. Students must provide evidence in their application of sound academic record / community or regional involvement / career goals and aspirations. 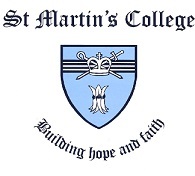 Scholarship value of $4,000.00 will be paid directly to St Martin's College off the cost of the recipients on campus accommodation. Any remaining balance for accommodation expenses is to be paid by the student.